Many factors in our daily life can affect the strength and mobility of our knees. It is one of the most commonly used joints in our body and therefore, one of the most injured joints in our body. Sports and recreational activities, work-related activities, aging, osteoporosis and arthritis can all play a major role in developing knee pain and problems. Knee pain can stem from a problem with any one of its many components. 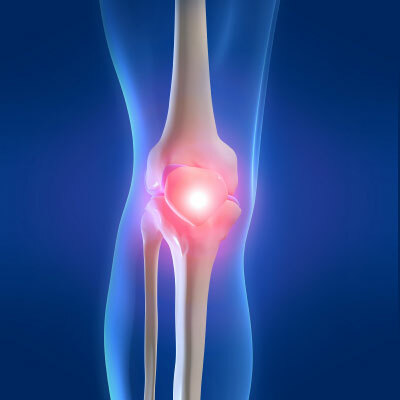 The knee joint is made up of three bones: femur, tibia and the kneecap (patella). Ligaments (ACL, PCL, MCL) are bands of tough, dense tissue that help stabilize and control the motion of the knee. Cartilage (meniscus) rests between the bones to cushion the joint and reduce friction during movement. Interestingly, the most common causes of knee pain and loss of mobility is the wearing away of the cartilage lining or a torn ligament. At The Central Orthopedic Group in Plainview, NY, we will diagnose and provide treatment for your knee condition. Our goal is to get you back to your active lifestyle as quickly as possible.